This day has come! 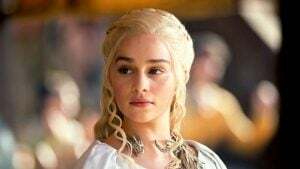 A real life Game of Thrones wedding took place on June 23d but thankfully it was nothing like The Red Wedding. In fact it was more like another Royal Wedding, but slightly more chill and with friends, family and GOT cast members. 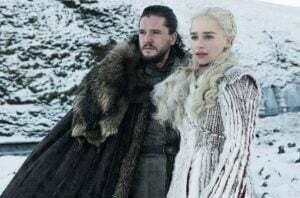 It’s a happy moment for Kit and Rose and fans of the show, but there is a sad part to it. 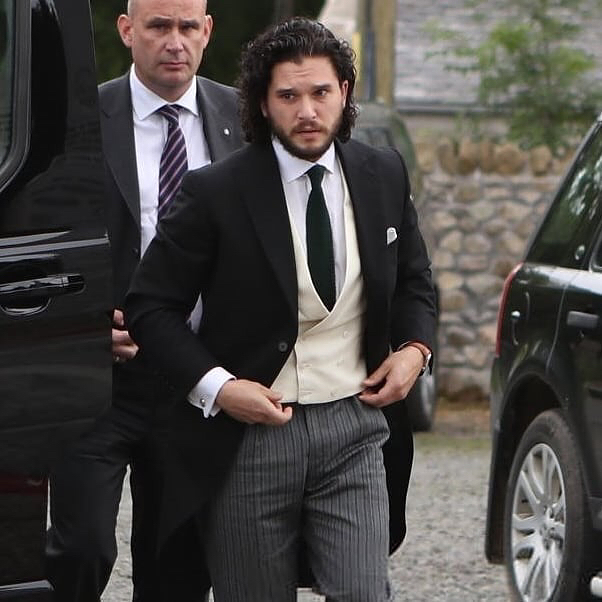 John Snow now is definitely taken, so fangirls of the world, let’s have a moment of silence. We can no longer kid ourselves with dreams of maybe one day marrying him. He’s taken and very happy about it. 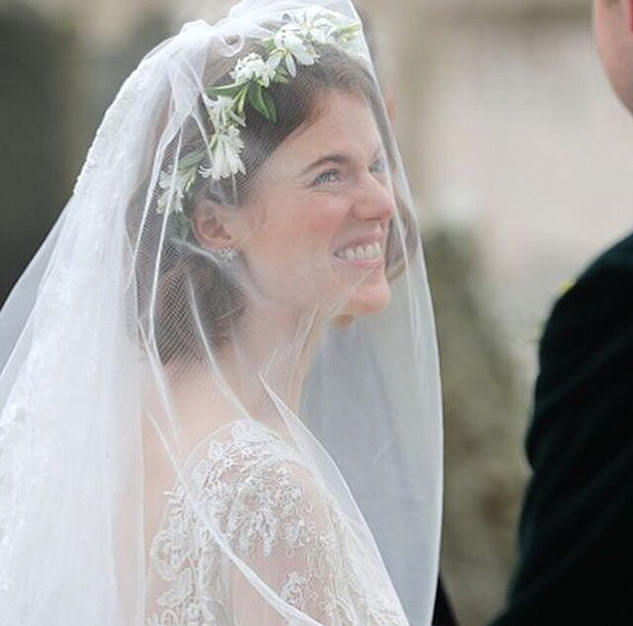 Have you seen the pictures from the wedding yet? They’re gorgeous. 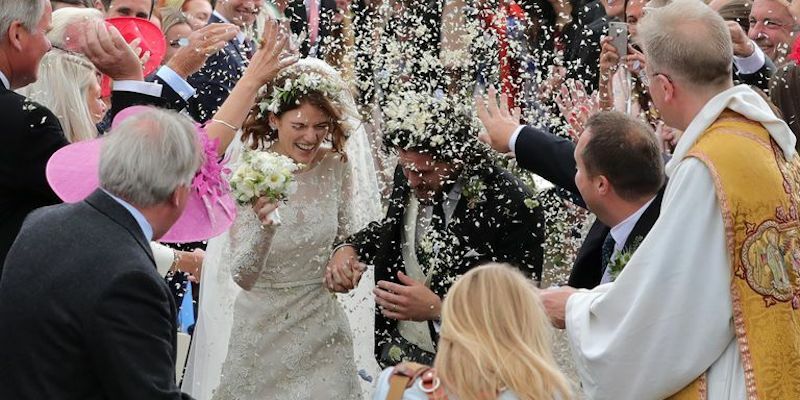 Rose wore a very cute Elie Saab wedding dress, Kit rocked one of those suave morning suits. They both looked over the moon the whole time. 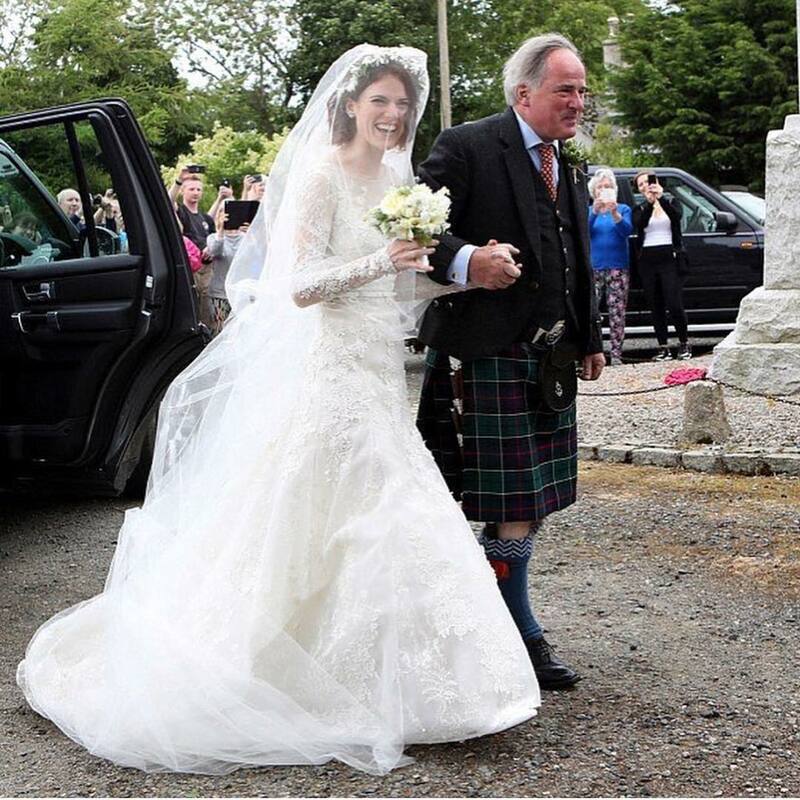 Rose’d father and a couple of GOT cast members wore kilts, since the whole wedding took place in Scotland. 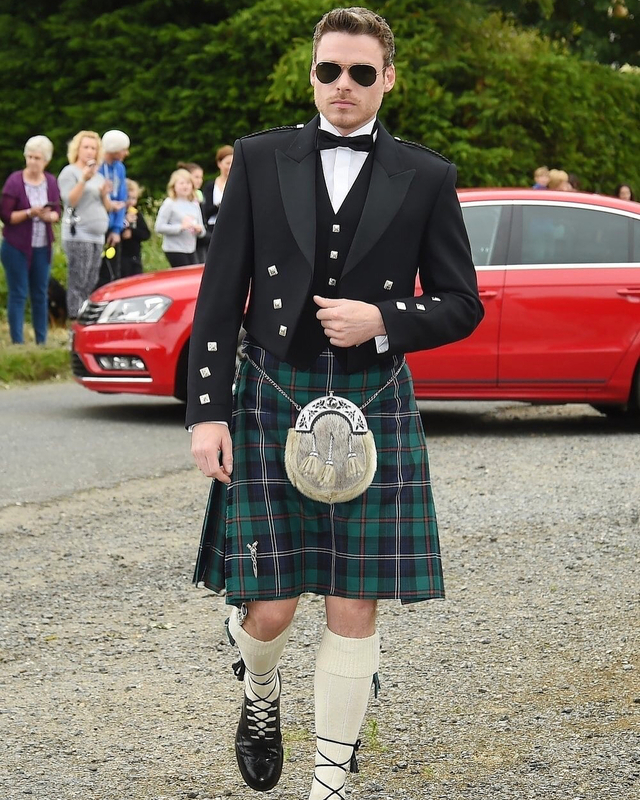 To be honest, we kind of wish Kit wore a kilt too, but oh well. The couple got married in a little church in Kirkton of Rayne, but the actual party then moved to Rose’s family home. And when we say family home, we mean Wardhill Castle in Aberdeenshire, Scotland. Did you know her family owned that place for centuries? Yeah, they’re that posh. In fact, if you want to have your wedding at that castle – you can. 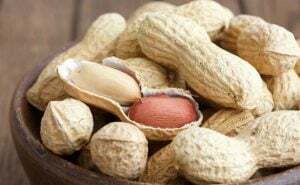 It’ll cost you around $3K per night. Rose and Kit could’ve had some fancy company catering for them, but instead they chose to go local. Apparently all the catering, food, flowers, etc was local because they wanted to give back and this was a nice way for Aberdeen to benefit from this huge event. We bet Aberdeen also benefited not only from that, but also from an influx of fans who wanted to come and see their idols get married. Quite a few of them waited outside of the church to catch a glimpse of the couple, and there’s rumors that one fan even hid in the bushes to see the wedding. What do you think their getaway car was? A swanky limo? Nope. 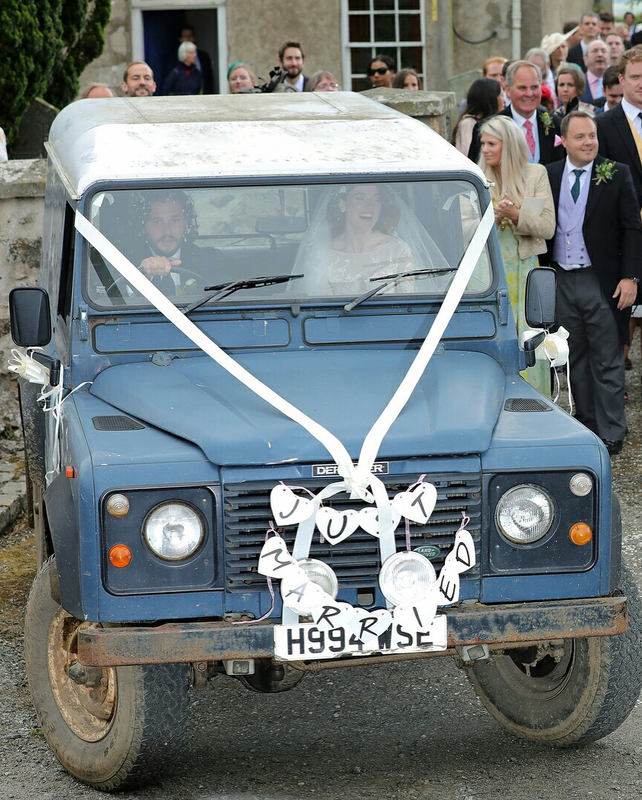 Instead they has a vintage Land Rover Defender, with the classic “just married” sign and some cans. 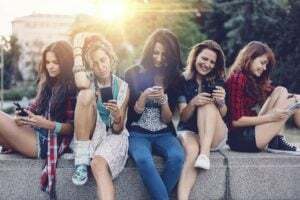 How adorable and old school of them, don’t you think? 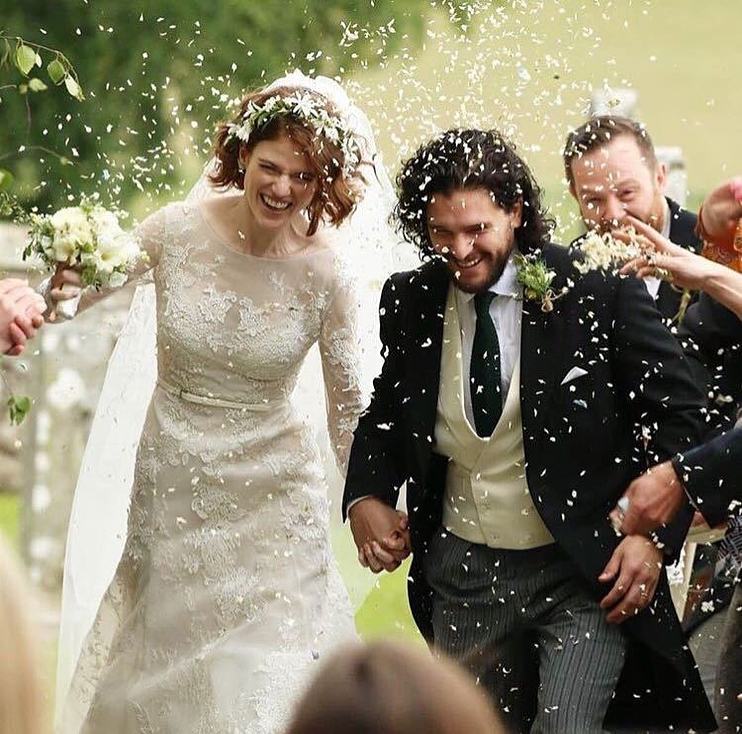 Rose and Kit are actually very down to earth people, so they were very aware of how their wedding will be seen, so they prepared a little inside joke for their guests, and stamped all 200 wedding invitations with Jon Snow’s face. 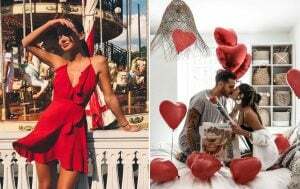 We bet those invitations would sell on Ebay like hot cakes. Unfortunately not all of the Game of Thrones cast could make it to the wedding but quite a few came. Emilia Clarke a.k.a Khaleesi a.k.a the mother of dragons was there, Peter Dinklage made an appearance. Our favourite Starks Richard Madden, Sophie Turner and Maisie Williams were there too. 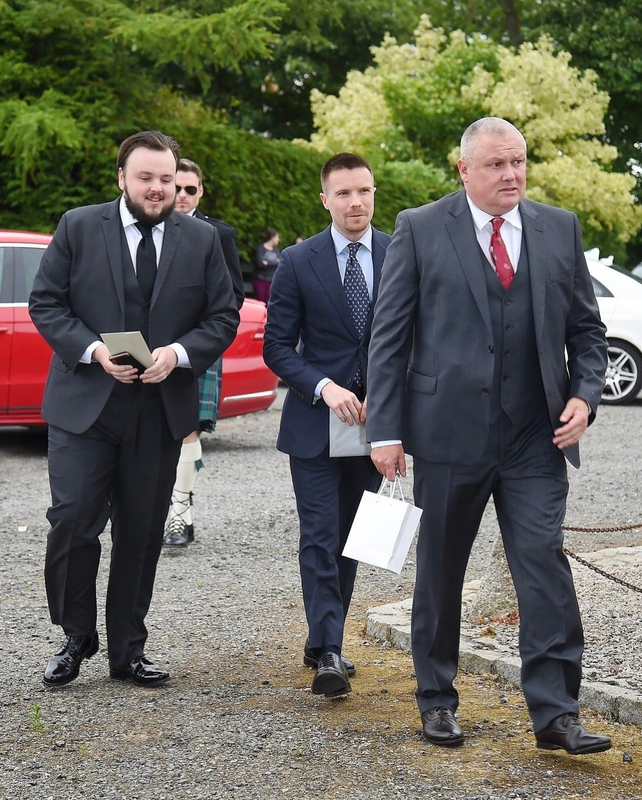 Joe Dempsie, Conleth Hill, John Bradley and Ben Crompton also attended the wedding. 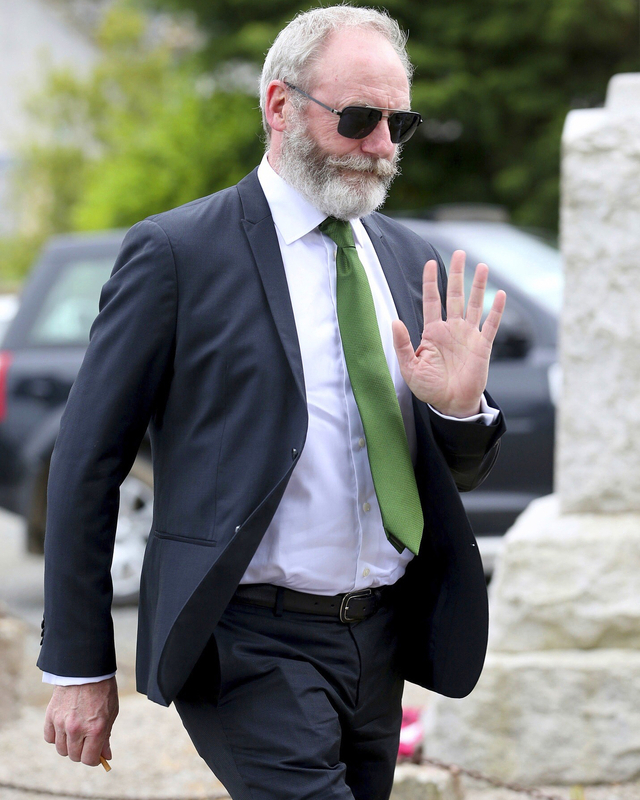 There were also quite a few other Hollywood celebs but we won’t bore you with the details. All in all a pretty good turnout. 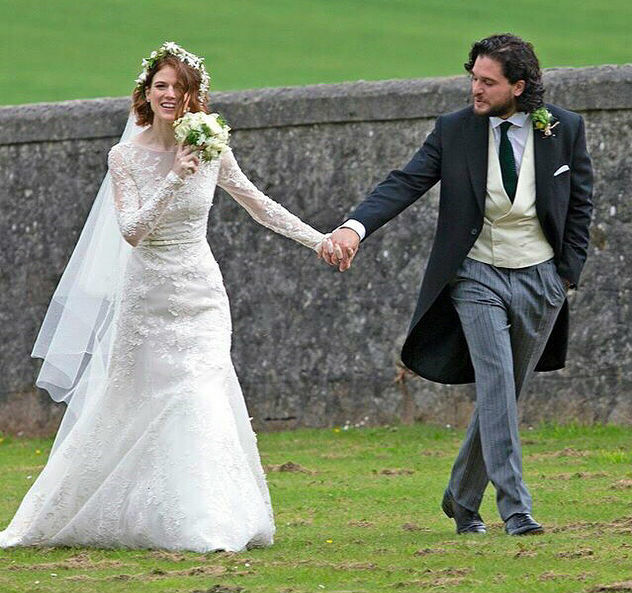 We wish the happy couple all the best and you know, Kit+Rose 4eva!